The world is in chaos. 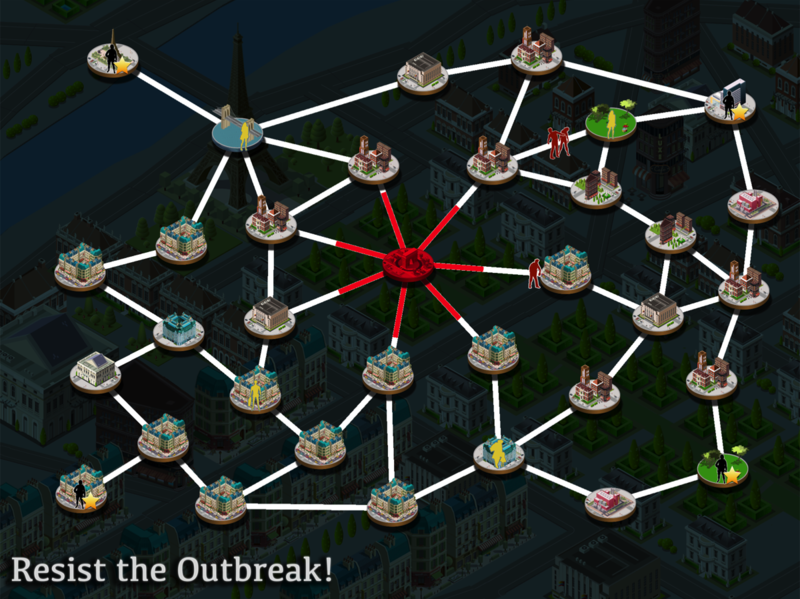 An outbreak has spread across the globe. Some citizens are becoming brain crazy zombies. Will the surviving remnants of humanity be torn apart by the lumbering zombie hordes or will the survivors live to start anew? In Undead Breakout, you must use the pathways and thoroughfares in the ruins of a resort town, Paris and New York City to move survivors to escape points (indicated by a gold star). Each level provides a variety of challenges in which you have to move the gold survivors around the board like pieces on a game board, avoiding the zombies that will try to overtake the survivors and the spreading infection. Each zombie and each survivor type has different characteristics that impact their movement and movement speed. To aid survivors, some missions incorporate police officers or soldiers who can protect the survivors. The soldiers can create a protected spot by holding zombies back a space. Police officers can be used sacrificially to kill one zombie they encounter although the officer will die in the process. Think strategically to reach each goal and survive the undead masses. - Board game like setup. Control survivor icons that you move space by space through pathways to a gold star marked escape point. - Simple controls. Tap an adjacent space to a survivor to move to it or swipe your finger towards the next space to move towards it. - Enjoy 36 thrilling missions that include stops in a resort town, Paris and New York. The city maps include landmarks and layouts that you might find familiar. - Avoid zombies who will hunt and attack the survivors. 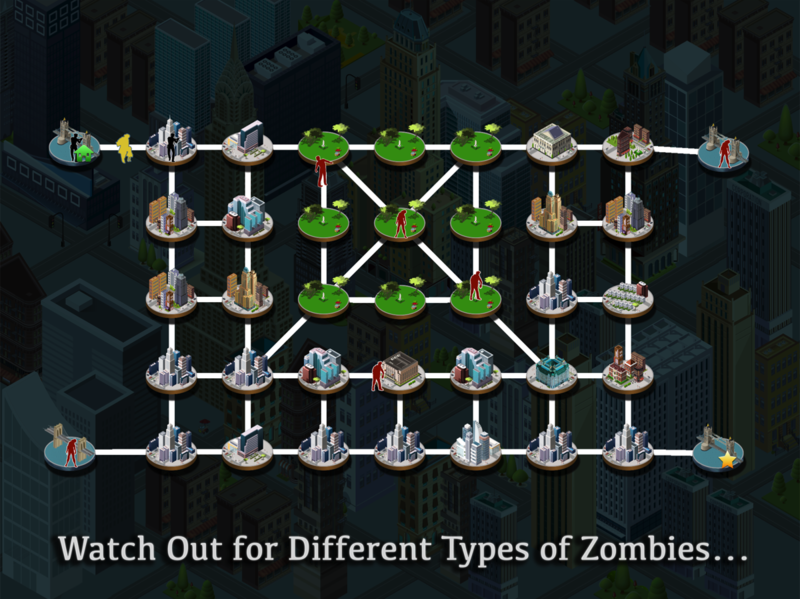 There are 3 types of zombies and each type has a different A.I. for movement. - There are 3 kinds of survivors who move at different speeds. Be careful, especially, of the mother and child survivors who move very slowly! - Utilize safe house spaces (indicated by a green house) carefully as zombies can not enter these spaces and an infection will not spread there until a safe house is totally surrounded by infected spaces. - Fast paced music adds to the intense feeling of each mission. Will the survivors make it or will the dead put an end to humanity? !